Magic Carpet Cleaning in Burnt Oak HA8 – quality cleaning service at a reasonable price! 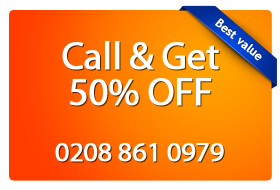 Why Book a Cleaning in Burnt Oak HA8 With Us? Expert Cleaners Our seasoned carpet cleaners in Burnt Oak HA8 have been trained by experts in stain removal and hot water extraction techniques. World Class Equipment Our technicians in Burnt Oak HA8 are equipped with tools and machines provided by the industry leaders – Prochem, Rotovac and Karcher. Removing the stains from thick curtains, carpets on any delicate fabrics is not a simple job and more over it takes lot of time to get cleared. There are various cleaning services of carpets and upholstery in market but Magic Carpet cleaning services of London is remarkable one because it its experience and service they provide. In Burnt Oak (HA8) London, Magic Carpet cleaning provides service to the offices and also for domestic purposes of cleaning carpets. Moreover it also gives free advices so that one can prevent carpets rugs from getting dirtier. It charges extremely nominal price and also makes a fair deal. Professionals are qualified technicians who were trained in every 3 months so that they can provide best ever service. They use latest techniques and chemicals to remove stains from curtains and carpets which last long and customer satisfaction is attained every time service is provided.